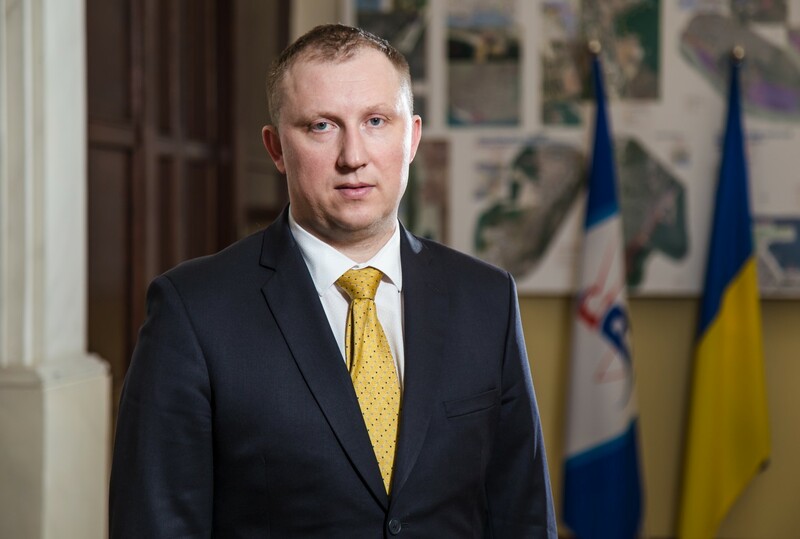 USPA is a Ukrainian state enterprise, responsible for the efficient use and development of the seaport water areas and infrastructure, based on global best practices. USPA is indeed responsible for 13 seaports. This is not a typical European model, where often each port is managed by its own separate authority. We have head offices in Kyiv and Odessa, and our branches are located within the ports. Their role is clearly explained in the law "On Seaports of Ukraine", i.e. proper maintenance of the port infrastructure (repair, modernisation, construction); ensuring navigation safety, collecting of port charges and maintenance of the port depths. USPA is a relatively young company. On 13 June 2018, we celebrated 5 years since the beginning of our activity. We have entered the Top-5 of the profitable state enterprises. In terms of our daily activity, we have to face several important issues and challenges, such as increasing traffic, improving the competitiveness of the ports and attracting investments. Ukraine has a favourable geographical position being located at the intersection of transit routes, but we now acknowledge that the trends are changing. In terms of cargo turnover, the biggest part is now related to export, followed by import and cargoes in transit. Just 5 years ago the situation was different. And we realise that, basically, the situation is affected by the geopolitical situation. Our task is to look for new logistic routes, to develop them and to attract cargoes to our ports. Our task is to make our ports competitive. And it directly depends on the rate of the port charges. Many experts say that they are high, but we are going to offer more favourable tariffs and, as from 1 January 2018, they have been reduced by 20%. There are special tariffs for the transshipment of oil products. Together with the Ministry we have developed a new methodology of port charges calculation. Another competitive advantage of our ports is their extensive depths. The issue of investments remains a burning one. Half of our income is now being paid to the state budget as taxes and dividends. At the same time, port facilities need significant investment for their modernisation. We have to look for alternative ways of investment to attract international donors. In Europe, port development is financed by state grants and funds. We exist in a somewhat different paradigm: the construction of new facilities and the modernisation of the hydro-technical infrastructure are being funded by the state proportionally to the collected port charges, and this is what determines our agenda. On 31 May, USPA officially joined ESPO as an observer member. Why joining ESPO as an observer member? What do you expect from becoming an ESPO observer member and how can you contribute to it? We consider joining ESPO as an important step in integrating the Ukrainian ports into the big European port family. EU-neighbouring countries can be granted the status of observer member. Since the EU-Ukraine Association Agreement is signed and there is a free trade area between the parties, we decided that joining ESPO will be a logical move in our cooperation. We are considering the following available options: sharing of knowledge and access to the best European practices of port development; participation in the work of the committees of the organisation, promotion of Ukrainian terminals on the world market; an opportunity to adopt the European port standards and be an active actor in the process of forming the European policy with regards to ports. 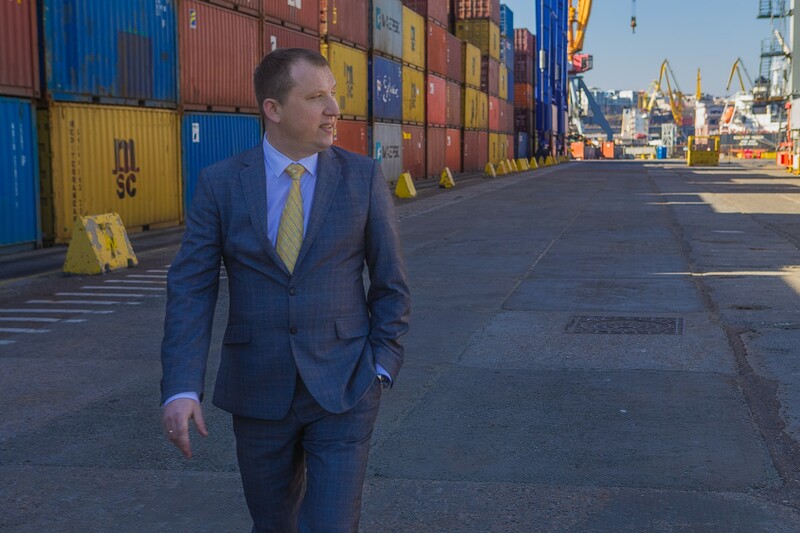 From our side we are ready to offer the most complete information on investment projects in the Ukrainian ports, to advise on the opportunities of public-private partnership, and to exchange experience and contacts. Ukraine has been reforming its ports since 2013. What are the main features of this reform? How do these reforms contribute to the competitiveness of the Ukrainian ports? The essence of the reform was to separate administrative and operational business activities. State stevedoring companies were created in the ports to be responsible for cargo transshipment; USPA branches were established in order to take responsibility for the development of the state property (berths, infrastructure facilities, water areas) in the ports. But we cannot say that the reform is finalised. There is a number of issues that still need to be solved, including the land issue, port boundaries delimitation, etc. There is no doubt that the changes initiated in 2013 were required to reform the Ukrainian port system according to the western model. The most important part was that with the start of the reforms we got an opportunity to attract long-term private investments to the port facilities on clear and transparent conditions, particularly for foreign companies, including the public-private partnership model. A logical follow-up of this reform will be the transition to the port management model based on the port-landlord principle. The 2018 ESPO Conference focused on investing in the port of tomorrow. The 2018 Ukrainian Ports Forum also focused on port investments. In this context, we were wondering what the main investment needs are for Ukrainian ports. What are the possibilities for Ukrainian ports to obtain funding for port investments? During the Ukrainian Ports Forum, we gave special attention to the projects that will be implemented in the ports according to the updated Port Development Strategy until 2038. We presented eight separate projects that had passed the necessary procedures and are now completely ready and open to investors. In total, there are 44 projects planned for implementation by investors in the seaports for the period until 2038. Their full capacity makes more than 143 mln tons and 1.4 mln TEU. The total cost of the projects amounts to almost 35 billion UAH. The number of additional jobs created is up to five thousand. In terms of cargo turnover for the period until 2038, we are considering two scenarios. According to the realistic scenario, Ukrainian ports have a potential to reach 184 mln tons per year; according to the optimistic scenario, it can be 246 mln tons. Concession projects will also contribute to it. Already today we have announced the implementation of four of such projects in the near future: SE "Stevedoring Company ‘Olvia’", SE "Kherson Commercial Sea Port", railway-ferry complex of the SE "Chornomorsk Commercial Sea Port", and SE "Yuzhyi Commercial Sea Port". The European Commission has declared 2018 as the Year of Multimodality. Do you believe it is important to put an emphasis on multimodal transport? Are there measures taken in Ukraine to make multimodal transport more attractive and more competitive? A draft law "On Multimodal Transportation" was developed in Ukraine. EU experts participated in the development of the document. It is based on the regulations of the EU-Ukraine Association Agreement. The draft law provides for determining the legal and organisational framework for multimodal transportation in Ukraine and is aimed to create the conditions for its development and improvement. The Ukrainian side seeks to develop multimodal transportation. Since 2003, a piggyback "Viking" train connects the Baltic region with the Black, the Mediterranean and the Caspian Seas. Piggyback "Viking" train is a joint project of the Lithuanian, Ukrainian and Belarusian Railways, stevedore companies and ports of Klaipeda, Illichivsk and Odessa. Its route crosses Ukraine, Belarus and Lithuania. One of the goals of the project is to attract cargo for transportation along the TRACECA Europe-Caucasus-Asia corridor, as well as transportation of cargoes from Turkey and Middle East countries to the Nordic countries and back. What is the importance of the Danube River for the Ukrainian ports? The Danube is the second longest river of Europe; it crosses 10 European states, including Ukraine. Several important international transport corridors go through the Ukrainian part of the Danube delta: Pan-European Transport Corridor VII, which unites 18 European countries and the TRACECA Europe-Caucasus-Asia corridor. That is why the Danube not only has an economic, but also a geo-economical and geopolitical importance. EU countries pay considerable attention to the use of inland waterways as well as to the redirection of cargo flows from land to maritime transportation. This trend is just gaining momentum in Ukraine, but has great potential for development. The maritime transport infrastructure, in comparison to railway, highway and transport by air, has a significant potential for increasing traffic performance, while the modernisation of the waterways is much cheaper and has a relatively shorter payback period. Particularly, this year we are observing an increase of ship journeys and cargo transportation by the Dnieper river by 5-10%. We plan to perform operational dredging on the Dnieper River this year. It is also worth mentioning that Ukraine has three rivers, which are logistically important in terms of cargoes to the ports: Danube, Dnieper and Yuzhnyi Buh. That is why we have a multifaceted approach to river navigation development. There is no doubt that the Danube is a link with Europe and is a transit corridor for the cargoes going from Europe to Asia. The fact that three modern ports, such as Izmail, Reni and Ust-Dunaisk are located in the Danube delta increases the attractiveness of the Danube-Black Sea navigation pass not only for Ukrainian, but also for foreign vessels. Capacities of these ports are underutilised at the moment, but they have a good potential. What are the main focal points of USPA’s environmental policy? USPA has been developing and implementing its environmental policy. It is being applied to all our processes and all the employees are obliged to follow it. Our enterprise has 11 environmental safety departments and more than 65 managers in the head office and our branches are involved in the issues of environmental protection. Let me name some principles of our environmental policy. While implementing investment projects, priority is given to the most efficient ones in regard to environmental safety. The environmental impact of these projects is being assessed according to the European model procedure with the further approval by the Ministry of Ecology and Natural Resources in order to define the environmental impact degree. The enterprise is introducing an environmental protection system according to the international ISO standard. We use new environmentally safe technologies, equipment and materials aimed to reduce the environmental impact. USPA is permanently monitoring the situation in the ports in order to prevent possible pollution of the territories and water areas of the seaports. Our experts take part in the development of policy making in accordance with the European Union and international legislation. Besides, we raise the competencies and awareness of our staff on a regular basis. Our main priority is to maintain the image of the seaports as highly environmentally safe, in particular at the international level. Recently, Ukraine has passed the IMO audit. We have not received any negative comments regarding the activity of Ukrainian ports, which proves that we do follow all international regulations and practices. Positive work of the USPA was underlined as well as the fact that the enterprise fully implements the mandatory IMO instruments. The result of this audit is of key importance for the future development of Ukrainian ports as it influences their investment attractiveness and the increase of cargo turnover. The 2018 ESPO Award on societal integration will be focusing on “ports as a good working environment for everyone”. Has the USPA a policy in place to ensure employees can benefit from a good working environment? What kind of initiatives have been taken in this respect? 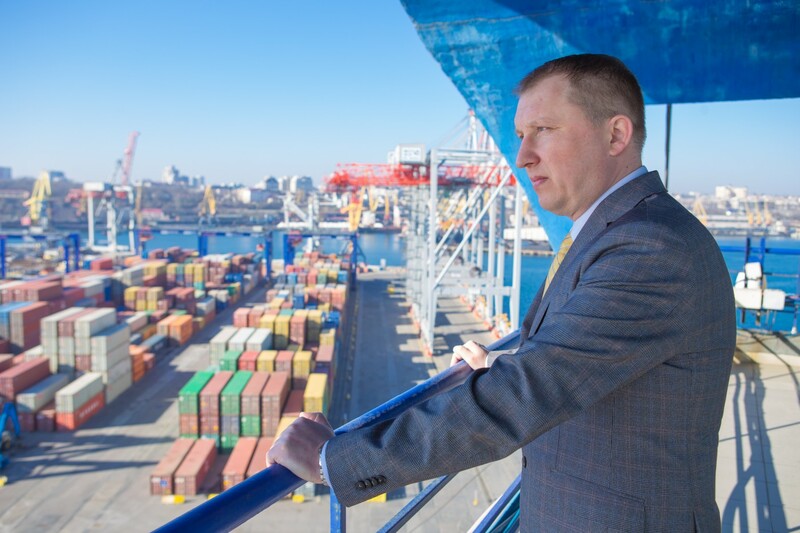 Today, the port industry in Ukraine is undergoing a period of change and transformation. New investment projects are being implemented and mechanisms of public-private partnerships are being launched, which requires staff development and bringing their level of qualification in line with international standards and requirements. Often, companies pay less attention to the staff development during periods of instability. But we understand that the company is the people who work there. In USPA there is a number of documents that outline the training, the system of key performance indicators for top managers and the procedure of forming a succession pool of candidates. Recently, on 31 May, we conducted a large-scale international event – Ukrainian Ports Forum-2018 in Odessa. During the forum, the first port HR conference was taking place as a parallel session. It brought together about 100 specialists and it allowed us to discuss the formation of a port professionals' community. We discussed issues of staff development in the time of reforms, shared experiences, talked with international experts and business representatives. During the conference, a Memorandum was signed with the State Employment Service. We will collaborate in several directions: selection and training of specialists, promotion of the profession and creating motivation for the staff to work in USPA. In addition, on a sectoral level USPA is planning to develop and implement programs for training and professional development of employees of the sector on the basis of training centers of USPA and of the Trade Union of Maritime Transport Workers of Ukraine, which will meet modern international standards. Also we will be holding events – seminars, conferences for studying and discussion of the conformity of Ukrainian legislation to the requirements of international regulations and modern systems of education such as APEC (Antwerp / Flanders Port Training Centre), OCHA (Port labour training centre), etc. For a long time, we have been cooperating with educational institutions, in particular National University "Odessa Maritime Academy", Odessa National Maritime University, Maritime College of technical fleet of the National University "Odessa Maritime Academy" in the framework of the signed memorandums of cooperation. We take students for practice; the best get employed in USPA. We also plan to create a platform for publishing information about the needs that enterprises of this industry have in terms of qualified personnel, as well as information forcandidates about employment. You are Latvian, yet currently managing USPA. How has your career path led to this position? Is there a big difference between the way ports in Latvia and Ukraine are managed? The main area of my competence is ports and logistics. I have devoted most of my professional career to it. In the 2000s, I worked in Ventspils commercial port, VK Tranzits holding company and Latvian shipping company. From 2010 to 2016 I was managing the Riga central terminal, Riga container terminal and Riga coal terminal. In 2015-2016 Russia changed its policy of transit cargo management and began to lead cargo ships away from the Baltic States into its own ports. Transshipment volumes decreased significantly and it was not interesting anymore. I became interested in working in other countries of the former Soviet Union. I wanted to place myself in a more competitive environment and manage more large-scale projects. So when I received an offer to manage USPA, I did not hesitate a long time. In Ukraine there is a centralised port management – there is one company which manages 13 seaports. In Europe, for example, the control system of ports is somewhat different. There, each port has its own port authority, as a separate legal entity, the founders of which include representatives of state or local authorities. In this case, the dividends from the port activities go to both state and local budgets. Ukraine has a more complicated regulatory framework and it takes longer to implement a certain decision and project, whereas in European ports it often happens that policy is conducted on the basis of a specific law for each port. Also principles of financing and investing in ports are different. At the moment, the only source of income for further investment in ports development here are port charges and special services, and in Europe there are various additional mechanisms – subsidies from the state, attracting bank financing, special funds, etc. In addition, such an effective model as special economic zones in ports is not fully implemented in Ukraine, although it is a very interesting and effective way of developing port areas, increasing cargo turnover and growing economy as a whole.